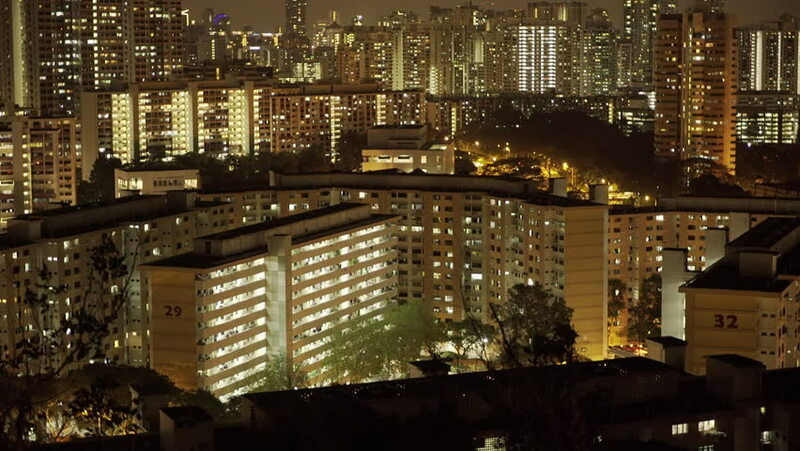 Night cityscape, residential buildings, block of flats, Singapore, Asia, April 2015. 4k00:11Flying past Trailer Park building and Hotel Roosevelt in Hollywood. Shot in 2010. 4k00:26Miami, Florida / United States - 12 1 2018 : Aerial of North Miami including Aventura, Sunny Isles Beach and Golden Beach.